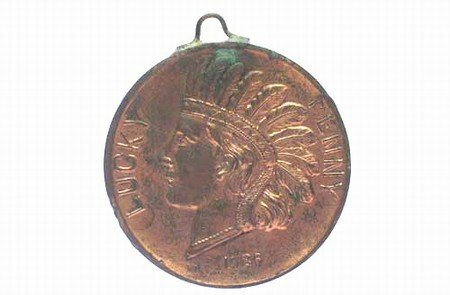 This oversized penny is dated 1926 on one side along with an Indian head and the words "Lucky Penny." 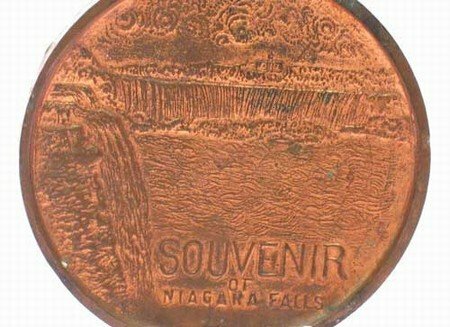 The reverse depicts a view of Niagara Falls and reads "Souvenir of Niagara Falls." Complete with a display hook for hanging, this is an interesting memento from years gone by!